Michael D. Lutz, M.D. is a partner in the Michigan Institute of Urology, P.C. Dr. Lutz has practiced in metro Detroit since 1986. He is board certified in the specialty of Urology by the American Board of Urology. 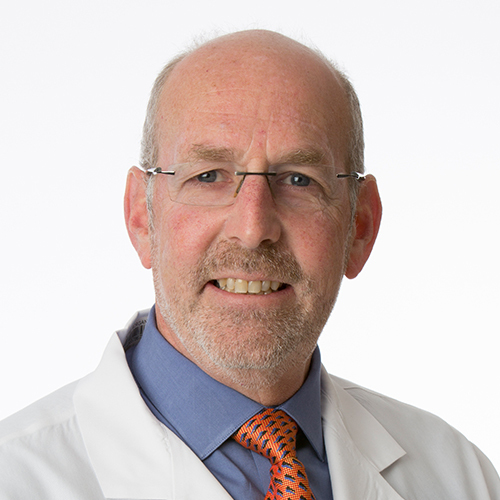 Dr. Lutz is experienced in all areas of adult Urology and has special interest in Urological Oncology (Cancer), Male Fertility and Urologic Stone Disease. Dr. Lutz attended the University of Michigan until 1977. He received his Doctor of Medicine degree from the Chicago Medical School in 1981. Dr. Lutz completed his Urology Residency at Henry Ford Hospital, Detroit, Michigan. Dr. Lutz was chief of the department of urology of the Northwest region of the Detroit Medical Center and an elected member of the medical executive committee of the Detroit Medical Center. Dr. Lutz served as a co-chairman of the Prostate Cancer Task Force for the American Cancer Society in the Great Lakes Region and as well has served on its regional board. He was a founding member of one of the first “Us Too” Prostate Cancer Support Group chapters in the State of Michigan and continues to remain active in regional advocacy groups involved in the prevention, diagnosis, and management of Prostate Cancer. In 2010, Dr Lutz was elected to the national eight person committee of the Prostate Conditions Education Council (PCEC) and was asked to chair and direct the PACE Races throughout the United States. The PCEC remains the longest standing and largest Prostate Cancer advocacy organization for screening and early detection of Prostate Cancer. Since its inception in 1989, over 5 million men in the United States have been screened through its national Prostate Cancer Awareness Week Programs. Dr. Lutz continues as Assistant Clinical Professor of Urology at Wayne State University. In 2010, he was asked to join the faculty at The Oakland University William Beaumont School of Medicine as Assistant Professor of Urology. Dr. Lutz is a member of the American Urological Association, American Fertility Society, Fellow in the American College of Surgeons, American Medical Association, Michigan State Medical Society, Michigan Urological Association and Wayne County Medical Society. Dr. Lutz’s hobbies include cycling and running.